The South Korean electronics giant, Samsung, is slated to formally launch its next flagship S-Pen equipped smartphone on August 23rd 2017 in New York. And while all of us eagerly wait for the much anticipated announcement of this year's Note device, a fresh image of the Galaxy Note 8 has just been leaked online courtesy of VentureBeat's Evan Blass through his Twitter account. Take a look below. 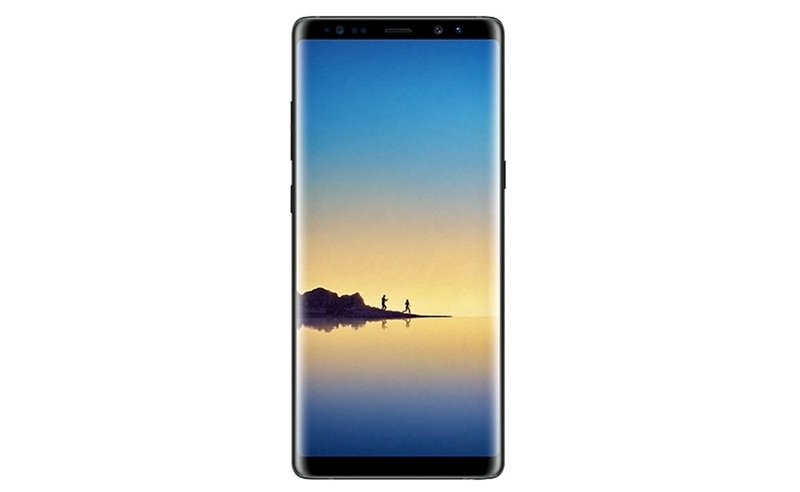 As of this moment, only a few details have been known about this next gen Galaxy Note 8 phablet except for that it will be sporting the same Infinity Display found on the current Galaxy S8 series with of course a slightly bigger size, a dual rear camera set up with up to 3x optical zoom, and a much upgraded S-Pen. Once officially unveiled and assuming that all speculations surrounding this Note 8, especially on the camera department, this is going to be Samsung's first ever investment in the dual camera scene joining the big guys like Huawei and Apple which have been adopting the dual camera features for at least a couple of years now. This will also assure us that next year's Galaxy S9 lineup will also have the same set up. In fact, one of the leaks earlier this year suggested that the Galaxy S8+ almost had two cameras on the back. And of course expect the Samsung Galaxy Note 8 to be the most expensive of the series since Note 1 in 2011. Some reports say it could go as high as more than $1000.